KEP or SIHANOUKVILLE? Which is better? Which is more peaceful? Which is more dynamic and has various nightlife activities? Which would be more suitable for me? This seems to be a frequent question of many people when they arrange their beach vacation in Cambodia.I have also found that this is also a question that I have received from many clients when assisting them making their traveling plan to Cambodia recently. Hence, I decide to write this post to give you some ideas regarding both beaches. Hope you guys would have the best answer and the best decision for yourself. Back in the 1960s, when Sihanoukville was just a fishing village, KEP, 25km from Kampot, was already an affluent seaside resort. Subsequent events were unkind to the town and Kep has been fallen to oblivion. Traces of the town’s sombre past remain. 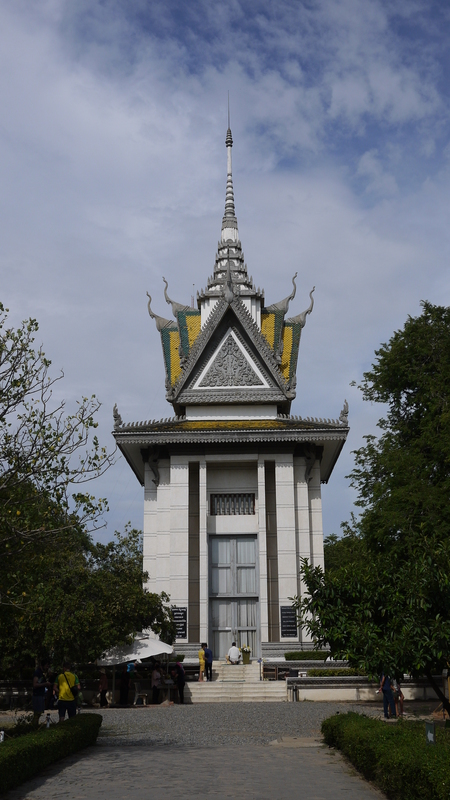 The region is dotted with the gutted shells of colonial villas – tragic evidence of the Khmer Rouge’s destruction. Until recently, most were smothered by prolific tropical vegetation and home to squatters; now some have been restored, with more likely to follow, although the difficulty of establishing ownership means this will be a slow process. Sihanoukville also known as Kompong is a coastal city in Cambodia and the capital city of Sihanoukville Province, located at the tip of an elevated peninsula in the country’s south-west at the Gulf of Thailand. In reality, the beach of Kep is quiet narrow and the sand is thin. Though the condition of the beach has been better recently when the local Government imports sand from nearby Kampot, which has the sand but no beach every two weeks and have somewhat changed all that, time and tide wait for no beach, so at the end of the fortnight the gritty black stuff makes a re-appearance. Sihanoukville is totally different. With a surrounding coastline of white-sand beaches and sun-drenched islands would be Cambodia’s most happening sun-sloth destination for people. About the restaurant, there are only some small restaurants opposite to the beach of Kep. The most famous food of Kep is the crab – particularly the offerings at the crab market which attracts Cambodians a lot but I’m sure this is not a really attractive thing to travelers. In the evening, if you have already stayed in Kep and you would look for more dinner options, you should travel back to Kampot – a small town which is 25kms away from Kep to have more choice. Things are better when you are in Sihanoukville because there are wide range choices for your meals. For the best place to stay and best things to do in Sihanoukville, if you are young traveler and you love parties, The Serendipity Beach area would be the perfect place for you. If you love quiet place, further away from the hustle, in the far south of town, is relaxed Otres Beach, where cheap bungalow joints and bohemian-flavoured guesthouses are now neighbours with rather swish boutique resorts. If you are type of the adventurous can find sandy strips rimmed by casuarina trees and coconut palms to have all to themselves at Beyond Otres. Sihanoukville is also the jumping-off point to Cambodia’s southern islands, where castaway-cool beckons. Back to Kep, there is not much adventurous activities in this area. You can choose to visit some pepper plantation in Kampot, check out the crab market, hanging out at the beach or pay a short visit to Rabbit island – known as Koh Tonsay – a lovely little island about 25 minutes away from Kep. It is also one of the least-developed island, with no motor vehicles, no mains electricity and few residents, making it an ideal getaway from the grind. You can also head out to Koh Svay (Mango Island) or Koh Pos (Snake Islan) to escape the crowds on Koh Tonsay. They are, like many Cambodian beaches, quite litter-strewn however. You can hire snorkelling gear on Koh Tonsay to bring along. To compare about the two beaches, the beach of Kep itself is not that much but quainter and (usually) much less crowded than Sihanoukville. If you’re looking for lazy days of sunbathing or night time bar hopping, Sihanoukville should be ticked in your box. In general, if you would look for a real beach escape, my recommendation would be: Just go ahead to Sihanoukville. If you would look for a quiet place for yourself to chill in a short of time(may be a day or 2), then Kep would be for you. 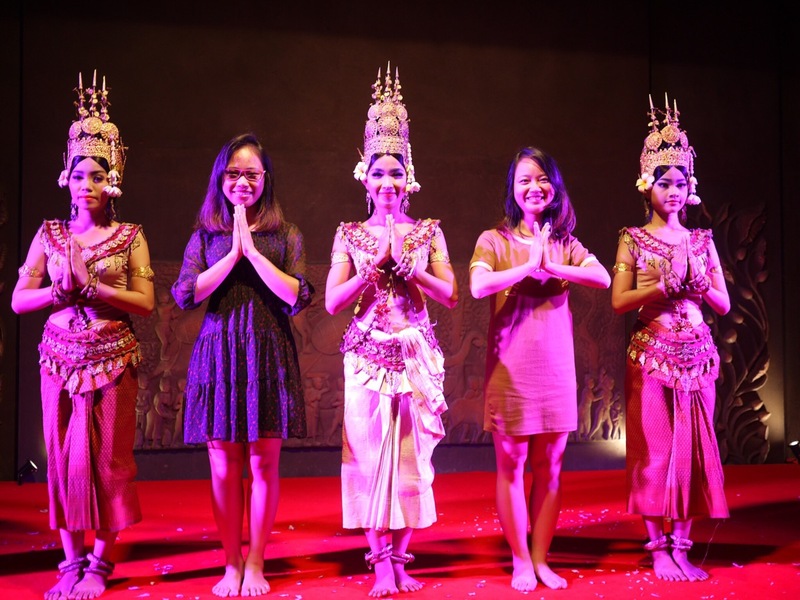 Being a Khmer in half a day! I am pretty sure that travelers to Cambodia have a dozen of reasons to explain why they immediately fell in love with this country. Apart from spectacular Angkor temples, amazing beaches, lush jungles or crazy nightlife out of the sleepy towns, what will you do to relax for half a leisure day? If you have no plans yet for this question, taking a traditional Cambodian photo shoot will be not a bad idea. Why the traditional Khmer photo shoot is the traditional one in Cambodia? Normally, the traditional Khmer photo shoots taking is a serious pre-wedding part for bride and groom as they will display these beautiful Khmer portraits at their special ceremony. Cambodians also take these shots for children in small-sized costumes of Khmer people. For foreigners, this is the best souvenir anyone can get from Cambodia after visiting this memorable country. Recently, this activity become widely known for expats in their honeymoon to save the joyful memory together. How can I do my lovely Khmer photos? Anywhere in big cities like Phnom Penh & Siem Reap and also in many of the smaller town, you can easily find a studio for Khmer photos shoot. The way to recognize them is to see the huge prints advertised outside with the images of Khmer couples in their sparkly costumes and historical sites as the theme. Upon entering the studio, you may find it a bit challenging to choose from many types of costumes and postures in the sample book. But do not worry, the friendly staff may be very supportive in choosing the best costume for you. After this, do not forget to negotiate about the price to avoid the surprise after finishing your shoot. It can cost about 15 – 25 USD for a set of printed photos of at least 4-5 photos depending on number of people join and includes rental fee for clothes, hair & make-up for women and usually sets of fake eyelashes to transform you to a real Khmer women. As men will not have make up and hair, they will pay less. When you and the studio both agree about everything, you will be ready to the next step: hair & make-up. Within only 15 minutes, the makeup artists will change you into a masterpiece of stripper eyelid and fake lash. Followed with the work of hairdresser to apply a lot of hairspray to stablize your carefully combed and twisted hair. Based on your own interest in colors or styles, you then will get dressed in Cambodian traditional outfits named Khmer Boran. After around 90 mintues, this process finishes then you may find you a totally new person and will be very eager to start your Khmer photos. While taking your photos, if you can not find the best position, the photographer may help to look exactly like Khmer people do. Most of the photos will be for your free style and in the end you will have chance to choose the themes that you love then you are done. The next day or so you can come back the studio and see how you look in a Khmer manner. Are there any tips for the best Khmer photos? The answer is surely YES. In this part, I think it is mainly useful for women as they need to be applied too much for a readiness. Ladies should wear your own makeup if you do not want your sensitive skin to be affected by cheap communal makeup. Moreover, the color intension is suitable for Khmer-colored skin, you may look quite funny in the bold and heavy make up if you are paler than that or just get used to having a light and natural makeup. One more thing, most of women hate the fake eyelashes as it seem to cover all the sun light and the thick and dark eye shadow that may make your eyes huge and a little frightening. Be prepared for any shoots as the camera man will give you only 90 seconds in front of the camera. All you should do is to choose your favorite posture before getting dressed and remember the loveliest ones then have a smile always. If you do not like anything, do not need to follow their requirement as this activity is actually so much fun. 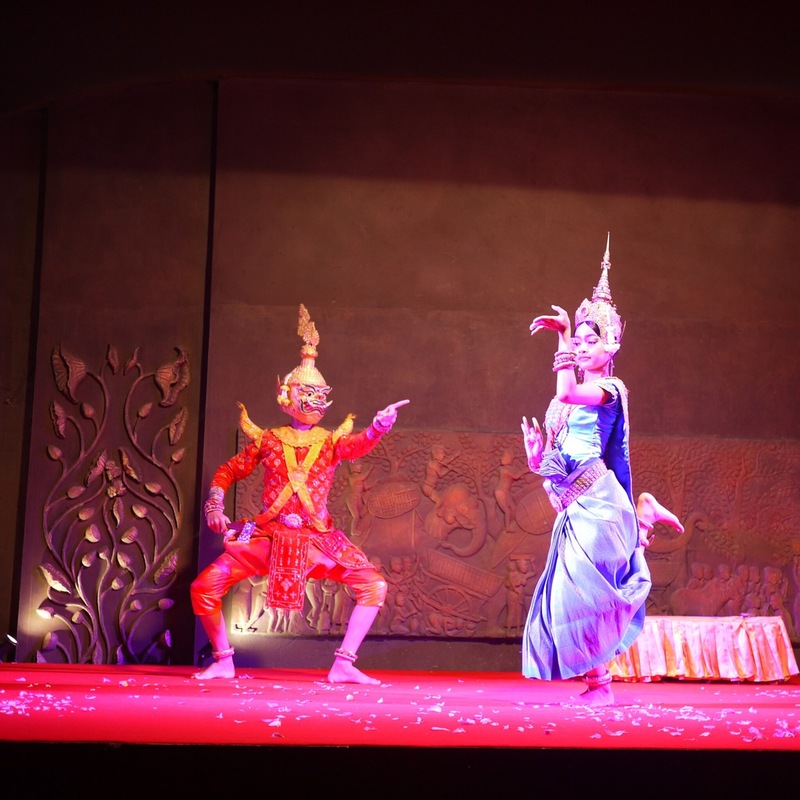 Now do you think this Khmer culture is actually a unique experience while cambodia tours? Do you like your Khmer portrait? Happy portraiture and share with me your stunning shoots. At the entrance, tourists can borrow the portable radio and headset with the guidance leaflets – the fee is included in the entrance ticket. There are many languages available to choose – English, France, Spanish, Vietnamese, etc. While waiting for our tour guide to buy the entrance tickets, I looked around the area and noticed that the camp was surrounded by the high, old walls with barbed wire. S21 used to be a school before it was occupied by the Pol Pot’s Government as a concentration camp. Passing the souvenir shop selling T-shirts & canvas bags, we reached the main campus. The atmosphere was weird, it was so quiet and gloomy. A concrete courtyard with a row of white graves, the perpendicular gray blocks, in stark contrast to the bustle and noisy scenes in the outside of the walls. Although the weather in July was full of sunshine and temperature in 35 degrees Celsius, when I put the headphone in, the abyss sad music from the radio made me tingle. The time run back 40 years ago, told us about the darkest history of Cambodia. Follow the instruction on the leaflets, I visited each place – the room for confining prisoners, the torture camps, the buildings dedicated to chain people, where innocent and miserable were not supplied by any foods or drinks for a long time, barely naked, chained by the leash like animals, suffered and pained by the ferocious torture, deprived all rights as a human. How sad to know all of these actions just to satisfy the morbid thoughts of a small group to build a dictatorial authority. The past was recreated truly and vivid like it just happened yesterday. We even can see the dry blood stains scattered on the floor. 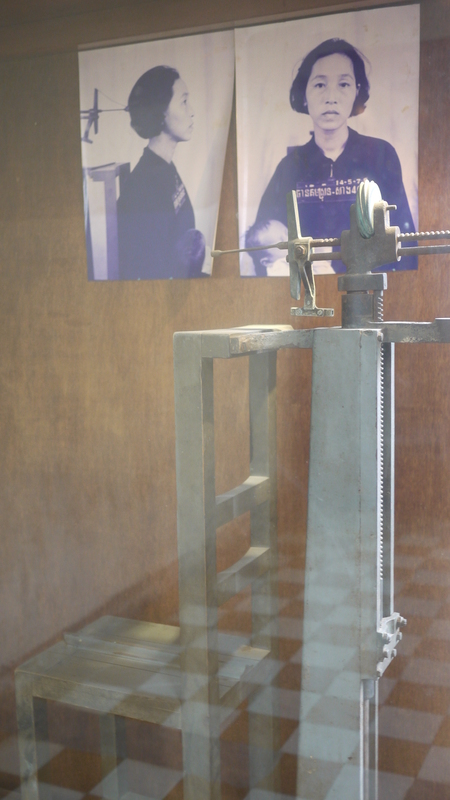 Some special tools for torturing still there, and the black and white photos of the victims with many different expression obsessed me so much. 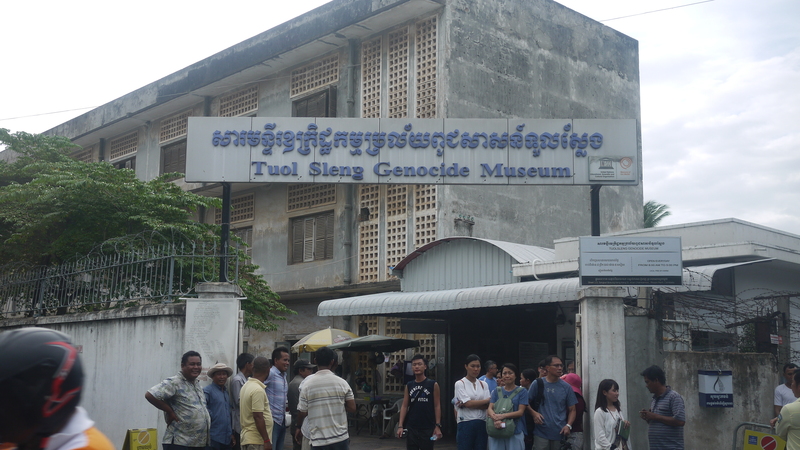 We continued to move to the Killing Fields – where there are mass graves of genocide victims. Here comes a high tower with numerous skulls and bones and other body parts were found in the graves after the battle. The skulls are arranged in different area – women, men and children. We followed a small trail, winding the public graves. The notes on the signboard showed us each grave, where the people were buried alive, where the Pol Pot’s army killed women and children, the death tree where people were hanged. A lot of scraps of cloth can be seen. Even some bones can be seen on the ground. Nobody knows who they are, names, hometowns or what did they do. We got on our car to back to the downtown. None speak or laughter, no selfie pics like when we visited the Royal Palace in the morning. We follow own thoughts, the plaintive music from the audio seems like ringing in our ears. Behind the car window, naive Cambodian were hustled back home after a hard working day. The frangipani swinging in the wind, ending an emotional day in Phnom Penh. Although this site is a must see in Phnom Penh, should consider for children and people who are having psychological problems. Cambodia is widely known as the home country of majestic Angkor temples with must-see Angkor Wat and Angkor Thom, ‘Citadel of the Women’ – Banteay Srei with very nice architecture or the famous Ta Phrom temple with its giant trees where Angelina Jolie filmed the movie Tomb Raider. For those who are interested in history – the capital city of Phnom Penh with Royal Palace and historic sites of Tuol Sleng Museum (S-21 prison) and the “Killing Fields” of Choeng Ek is definitely an attractive destination as well. More than that, Cambodia also has Battambang – an totally different place which its uniqueness, yet often ignored by tourists. For travellers who are big fans of street food and prefer eating outside at small vendors instead of fancy restaurants, there are plenty choices near the river at night. You may see some small local kids come and beg for food – a different aspect of the country that will hardly be seen in Siem Reap or Phnom Penh. Bambu Hotel Battambang – address: Phum Romchek 5, Sangkat Rottanak, KO Street, Battambang, Kingdom of Cambodia. This is a lovely boutique hotel with combination local Khmer and French colonial architecture. The hotel offers 16 clean and comfortable rooms and a salt water swimming pool available exclusively to staying guests only. Battambang Resort – address: Wat Kor Village, Cambodia. If you are seeking for a more luxurious place, Battambang Resort will be a nice choice, especially for those who enjoy quiet atmosphere and prefer to escape from the centre of town activity in Battambang. All in all, with its own charms which are hardy to be found in any other places, Battambang is a special destination that worths a visit if you have time in Cambodia. Located on the southwest slopes of the Kulen mountain, 25 km from the main Angkor group of monuments, Kbal Spean consists of a series of stone rock relief carvings in sandstone formations of the river bed and banks. It is commonly known as the “Valley of a 1000 Lingas” or “The River of a Thousand Lingas”.To reach the river, you must trek through a well-worn path through the jungle for about 45 minutes. This was a bit of an arduous journey if you do your trip in the summer. There will be no craggy stone steps to climb up, but you should watch your steps cause there’re many roots crawling on the surface, looks like many snakes that make you trip up at any time. Along the way, you will see many kinds of tropical plants and many jungle creatures. Stop for a while and you can hear the bird chirping, or can’t take your eyes off some flying butterflies, a hardworking spider is making a cobweb, or a numerous of the black ants are taking home with their food. There are also some interesting rocks looks like the giant mushroom. Under the rock are so many small wood sticks. Local people usually collect the sticks nearby and put them under the mushroom to let them dry. As soon as you feel hot and tired, the sounds of gurgling streams will give you extra motivation. Take some more steps and you will be awarded by the crystal water stream. The water is so fresh that you can see many carvings on the stone sculpted under. The motifs for stone carvings are mainly myriads of lingams of Hindu god Shiva, depicted as neatly arranged bumps that cover the surface of a sandstone bedrock, and lingam-yoni designs. There are also various Hindu mythological motifs, including depictions of the gods Shiva, Vishnu, Brahma, Lakshmi, Rama, and Hanuman, as well as animals (cows and frogs). Although the water is very clean, tourists are advised not to drink directly the water from the stream. You also shouldn’t step on foot on this are because it is supposed to be a sacred place. Follow the stream, you can see a small waterfall where you can standing under the cool water and enjoy the nature. Remember to bring dry clothes along if you have intended to be wet. If you are a nature lover and would love a bit adventurous activity, the trip to Kbal Spean is an activity that should not be overlooked. 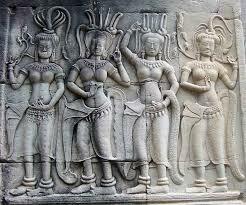 You also can combine with a visit to Banteay Srei temple because these two locations is only 5km far. When decide to come to Cambodia travel tours, don’t forget to grab a bottle of water for the trek. You should also bring some snacks or sweets as the trekking requires a lot of energy. Also, wearing comfortable clothes, sports shoes, a hat and applying the insect repellent. Follow a local guide to make sure you’re not got lost in the jungle. Do you know what “lingas” means in the Khmer language? Let’s come to Kbal Spean and find the answer.